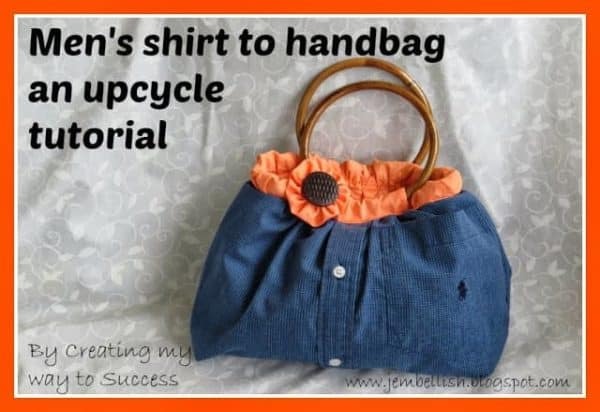 I made this bag using one of my husband's old shirts. 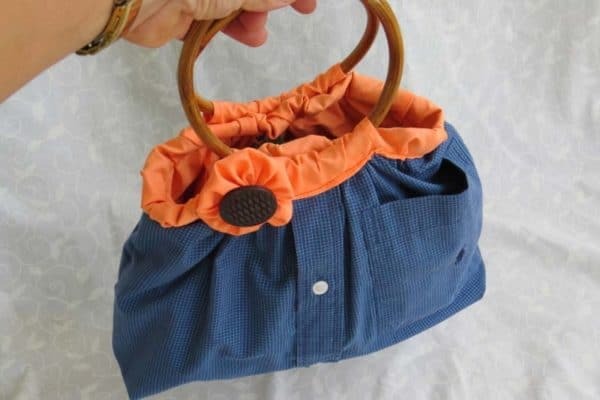 I wanted a bag that was unique, not just using the fabric from the old shirt, but also the structure of the garment. 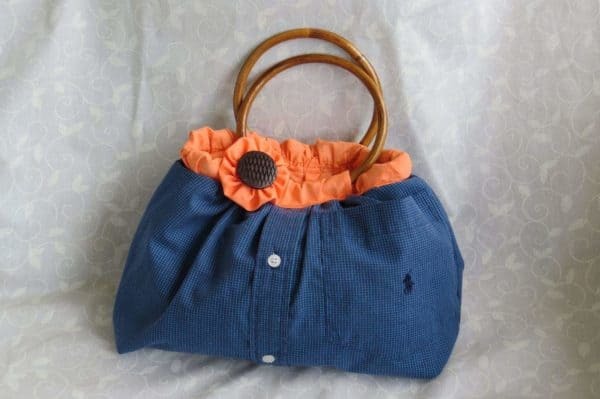 I added the orange fabric and flower to brighten the bag up. The extra orange fabric was from my fabric stash, and the handles I got from a charity shop - which I always find to be a great source of accessories. 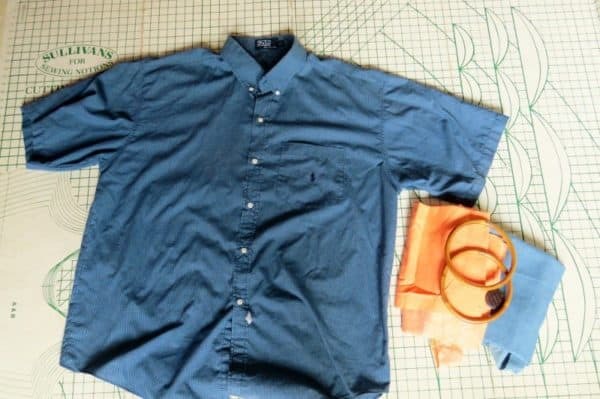 I love creating new things from old, and I'm happy to say my husband's old shirt will be getting a lot more use out of it now, in it's new life as a bag.